The Doonan Family Band has now become mighty! With the addition of four of their younger family members, to form The Mighty Doonans. 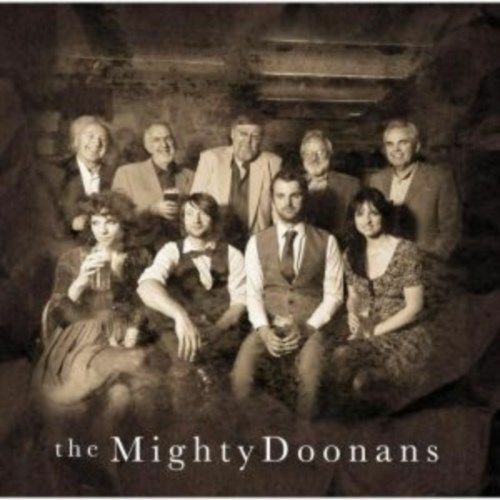 This is their first album together as The Mighty Doonans and it is not one to pass off. Many of songs on this album have a clear theme about the hard lives of the miners and their families in the north of England. The album starts with a song about a poor man, trying to persuade his pretty daughter Mary, to marry a rich countryman and escape for a better life. Although this song is slightly sad in a way, because Mary is being forced into a marriage she does not want, it is a fairly lively song; perfectly starting the album and setting the scene for the commencing songs. To make these songs even more profound and meaningful they cleverly involve the local lingo in their lyrics. For example “Ee Aye Aa Cud Hew” and “Cannily Cannily” both use local phrases and words to tell the story of the hardship, the mining families went through. Some of these phrases you may be familiar with, others you may not. However, understand them or not, the music is defiantly enjoyable and the meaning of the songs, regardless, is clear.